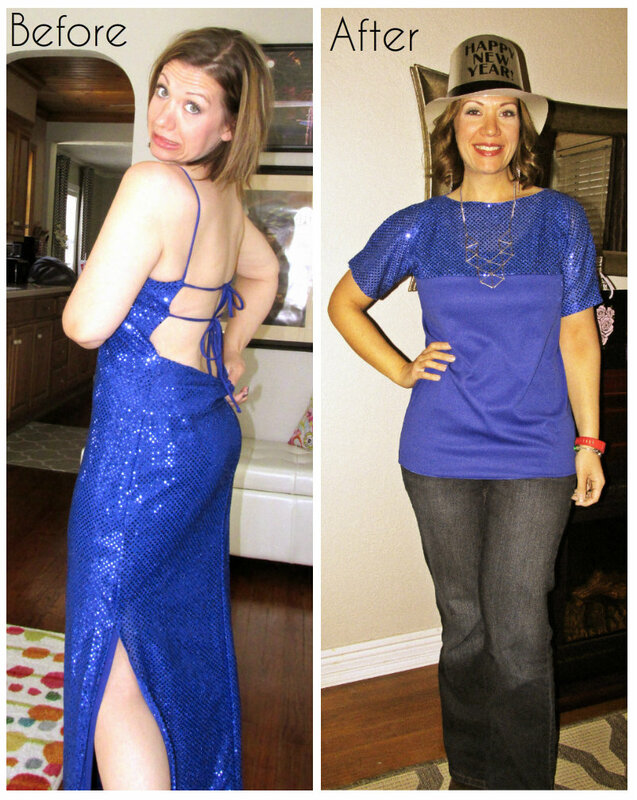 Refashion Co-op: What are you doing mom's birthday? What are you doing mom's birthday? The lining was in good shape so I made that the main body of my new shirt. I'm going to use the sparkly fabric as accent on the yoke/sleeves. I used a favorite shirt of mine as a template for this. (Some trimming was in order as lining fabric is wider than sequined fabric). I used a serger to clean up the seams and to sew the lining to the sequins. I cleaned up the remaining raw edges, adjusted the fit here and there... and voila. For full tutorial, feel free to see my blog post. Awesome save. You made a special occasion dress into a great item that can be worn everyday. I may need to copy this project. This turned out so cute. I love it. hi! random blogger here who Stumbled upon your blog! it is AWESOME! great job with the shirt! your creations/remodels are impressive! and happy birthday mom wahoo! That is such a great transformation!!! I still can't believe how awesome this turned out! You rocked it!! !